Probate work, didn’t bank on that! Carlsons Solicitors’ website homepage states, ‘At Carlsons, we do law. And we do it extremely well.’ We couldn’t agree more. Carlsons Solicitors’ approach and attention to detail ensured the correct outcome was achieved. 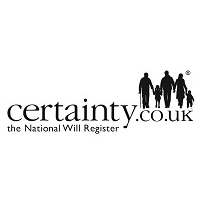 To find out how a Certainty Will Search finds unknown Wills, proves last Wills and therefore protects all involved in the distribution of an estate call 0330 100 3660 or email enquiries@certainty.co.uk for further information. Why make life difficult at a difficult time?